VW Group’s Electrify America is rolling out an ambitious plan to partner with retail companies and developers to bring fast charging for electric vehicles to more locations. The company is joining with Walmart and Target. 2,000 individual fast-chargers will be installed. We’ve tested numerous electric vehicles at Business Insider over the past few years, and we always come back to a single basic complaint. There aren’t enough charging options. By this, we mean fast-charging: not the kind of power you draw from a household wall outlet, but high-speed DC charging that can take an EV with a big battery and return it to the road in about an hour. Virginia-based Electrify America, which is part of the VW Group, wants to change that a bring more fast-charging to the electric-car-driving public. And it wants the chargers to be located in places where people won’t mind stopping to re-juice. The company already announced a plan to partner with Walmart to bring a hundred charging locations to 34 states. Now it’s adding other retailers and retail-oriented developers. In a statement, the company said that it will invest $500 million in what it terms a cycle-one investment to join with Target, the Brixmor Property Group, Kimco Realty Corporation and DDR Corporation, as well as Sheetz, Casey’s General Stores, and Global Partners LP ‘s Alltown convenience stores. Three more cycles will follow over the next ten years, bringing the total commitment to $2 billion. Speed matters. Tesla has created a Supercharger network that people who own and lease its cars can use to recharge their vehicles, but Tesla pitches it as being devoted to the needs of those taking longer trips. The network can help a Tesla owner get from coast to coast in the US, but Tesla prefers that those owners avoid using the system for daily charging. For many EV owners, overnight charging at home is plausible, but as anyone who has ever dealt with an EV for more than a week knows, there’s always a need for more electrons. The retail angle for Electrify America makes sense in this context. “It was much more beg-and-plead back in 2011 when I was at Nissan,” Jones told Business Insider, recounting an earlier effort to interest merchants in installing charging location, which he said is now a simpler process than it was seven years ago. Some serious voltages will be offered. The network, which will eventually grow to 2,000 individual chargers, will range from 50 kilowatt-hours (kWh) in urban locations to swift 350 kWh charging at highway locations. 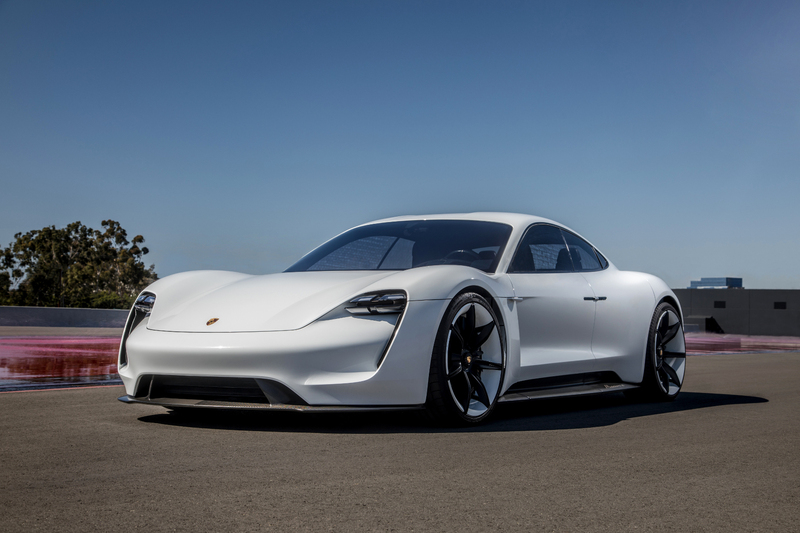 Currently, only the VW Group’s Porsche Mission E vehicle will be able to handle 350 kWh, which puts 20 miles per minutes of juice back into a depleted battery. Paying is also going to be easy — drivers will be able to swipe a credit card, just as the owner of a gas-powered vehicle at a gas station can now. “We’re purposefully placing our charging stations in locations where people already go, where they are needed, and in places that offer the best customer amenities, such as shopping and food, so that electric vehicle charging is easier and more appealing,” CEO Mark McNabb said in a statement.